Those tall wooden cabinets from yesterday’s libraries where ancient maps and old documents were stored inspired this eleven drawer Library Chest. For a true antique look, a distressed Chimney frame surrounds vintage Patina finish drawer fronts. Also, available in a Chimney frame with Bench finish drawer fronts. 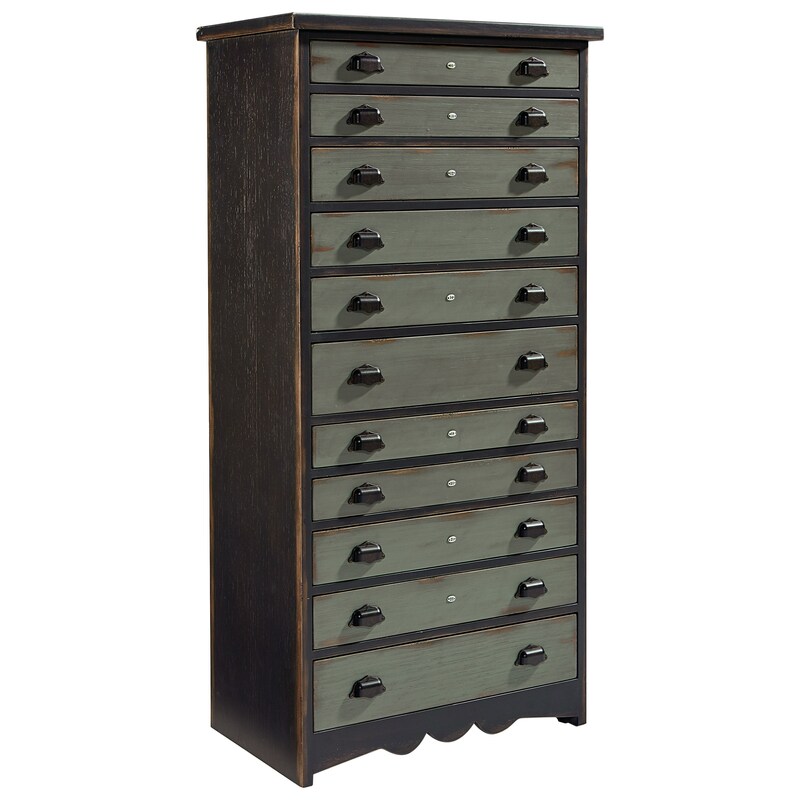 The Primitive Primitive Library Chest with Two-Tone Finish by Magnolia Home by Joanna Gaines at Stoney Creek Furniture in the Toronto, Hamilton, Vaughan, Stoney Creek, Ontario area. Product availability may vary. Contact us for the most current availability on this product. Browse other items in the Primitive collection from Stoney Creek Furniture in the Toronto, Hamilton, Vaughan, Stoney Creek, Ontario area.